Liczba stron: 664 Jest to ujednolicona liczba stron, która ułatwi Ci porównanie długości książek. Każda strona Legimi to 200 słów. For nearly one hundred years the magi have co-existed in a forced peace, the black order ruling and those in red robes settling for their subservient role. This peace, however, is threatened when the young protégé, Ayres, defies The Order and assumes the forbidden white robes.When a break-away sect within the black order begins to gain power, marking themselves with an ancient anti-magi symbol, Ayres and his childhood companions take it upon themselves to uncover the true meaning behind the movement.Hunted by the black magi and struggling to master the white arts he has recently discovered, Ayres must return to the tower that nearly claimed his life, setting off a series of events that could destroy not only himself and The Order, but everything that exists. This book is a work of fiction, the characters, incidents and dialogues are products of the author’s imagination and are not to be construed as real. Any resemblance to actual persons, living or dead, is entirely coincidental. All rights reserved. This book or any portion thereof may not be reproduced or used in any manner whatsoever without the express written permission of the author, except for the use of brief quotations in a book review. The anticipation built inside him as he willed his body over the final hill of his trek home. When he left three years ago, parting ways with his four closest friends, this climb had been nothing. A lot had changed for Ayres in that time. Stopping to catch his breath, leaning his frail body against the battered old staff he carried, he questioned how so much had come to pass in so little time. It seemed an eternity since the five had parted ways, each leaving immediately after the burial of their dear friend. Tonight he would once again meet up with those companions to see how each fared with their own journey. The thought of reliving his story for the group sent a cold wave of fear through him but he had known when he began the long quest home that it would be inevitable. You need only look at his frail, aged body, cloaked in flowing white robes and you would begin to question. The robes alone would be enough to cause alarm. No true mage would wrap himself in white. The order would not allow it. Couple that with his golden, aged skin and hunched, battered body and you would think he was as old as the monastery he approached. Three years ago, he left this place a twenty-year-old headstrong youth. Tonight he would return as an aged shadow of that man. No, Ayres was certain none of the four would recognize their youngest friend. Placing his staff in front of him to help bear his weight, he began the final leg of his trip. Reaching the crest of the hill and seeing the dim lights of Dantforth, his mind began to wander back to that lonely night they had all parted ways. They had been so young and foolish back then but Lastani’s death had changed that for them all. He would never forget her sacrifice nor would he forget how she looked laid out before them at the memorial. Her elven skin unblemished, draped in silk and petals. She appeared so peaceful. A look not uncommon for elven maidens, but rare for those raised in the company of humans and dwarves. The service had been a beautiful three-day event in her honor, more a celebration than mourning. That was the elven way. While Lastani followed few of her people’s traditions, this she had always insisted upon. She would not have her friends tearing up over her. They were to celebrate her life and move on with their own. Throughout the event, the five had put on great falsehoods but each knew the pain they shared. When the final dance was complete and the elven Queen had pronounced the ceremony closed, the five stood, barely able to look each other in the eye, and went their separate ways. Only one promise remained between them. On this night, in this all too familiar monastery, they would gather again to share their tales. “Not a night I’m looking forward to!” thought Duran as he stumbled across the pebbled road through the monastery gates. Who could blame him? There was a lot of bad blood over Lastani’s death when he left and, for him at least, time had resolved none of it. He knew ‘pretty boy’ blamed him, had from the start, and he was not looking forward to yet another night of defending himself. He would rather face a ditch full of hill trolls than see that look in Raldi’s eyes. Crossing the dark field seemed to take forever, but then, at four foot nine inches he did not have the longest stride. For most half-breeds this would be a point of contention but for Duran it was a matter of pride. Were you to ask, he would say he was dwarf. The half human and one quarter elven blood that ran through him was merely a statistical anomaly. The musky smell of stale air washed over him as he pulled the monastery doors open and stepped inside. He stood in the darkness of the doorway waiting for his eyes to adjust. Duran smiled to himself, he would recognize that voice anywhere. A deep hard laugh came from the mammoth sized man standing at the back of the room. Solace filled the large man’s eyes at the thought of his two friends still at each other’s throats. “Ummph, I’m a dwarf and I won’t ever be anything else,” mumbled the little man. “Well it’s refreshing to see that the two of you haven’t changed much,” came a whispered raspy voice from the doorway. The two friends stared at the crouched, hooded figure, recognizing neither the raspy distant voice nor the broken old man it had come from. Both shook their heads in confusion, as much over the unbelievable gold trimmed white robes as the strange man wearing them. Duran rolled his eyes at his friend’s cocky act. “Just like old times,” he thought. Luckily, this old man was too feeble to cause any real problems. The uncertainty was immediately evident on both men’s faces as they looked over the cloaked man. Ayres slowly slid his hood back to reveal his squinted eyes and golden complexion. “God didn’t have anything to do with that,” mumbled Bellaham. “Well apparently he’s been kissing some elven booty over the last three years,” jumped in the dwarf. Even through his squinted lids, Duran could see the mage roll his eyes. A slight tinge of guilt bit into him as he dropped his line of sight to the floor. How could Ayres always make him feel so foolish with only a look? “Hmm, then I guess we await Cryssteena. It’s unlike my sister to be late,” he said between coughs and gasps. Duran and Bellaham looked nervously at one another, both surprised and unsure what to say. By the looks on their faces, Ayres was instantly concerned. Incomprehension, confusion, anger and remorse, they all rushed over Ayres within an instant of hearing those words. His coughing hastened as he struggled to regain his composure. Ayres was quite familiar with the red tower. It was home to the Council of Reds, magi that have learned the black arts but refuse to be controlled by them. Cryss’ interest in the tower, however, confused him. Seeing this in his friend’s odd new face, Duran quickly picked up the pace of the story. Both Bellaham and Duran knew the story of the War of the Robes. They grew up with tales of the magi’s internal battle passed off as bedtime stories. Almost everyone knew how the white robes had been driven from the order of magi. How the council of the blacks had taken over and instituted strict new policies. All magi must either live by the black arts or, at minimum, study and respect them. This was also when they chose to ban all women from the order. Women, they said, were far too compassionate and leaned towards the white arts. Since the war, no one had dared don the white robes. The next few hours were a blur for Ayres. A burst of unforeseen emotion bombarded him. A crippling mixture of fear, rage and loss rushed over him like a dark cloud settling on his eyes and lungs. His vision blurred and he could barely recognize what was happening when his legs finally gave way. The next thing he knew a bright light was pushing through the cloud, dispersing it. His heart rate slowed and the emotional trifecta subsided, replaced by an unbelievable sense of peace. Looking down at his friend’s frail form laid out on an old cot. Duran was relieved to see the odd transformation take place. It had been nearly nine hours since Ayres collapsed. The dwarf watched in awe as his struggled breathing became strong and rhythmic. The golden skin that looked so dry and painful the night before now seemed to radiate a calming glow. As he watched his friend, finally at peace, the dwarf could feel an unexplained sense of ease within himself. Looking up and over his shoulder, he could see the fear still apparent in Bellaham’s eyes. He could see the pain on the big man’s face. Amongst the people of Dantforth, he had always been considered a gentle giant. Standing at least two feet above the average, his barbarian heritage was apparent but his demeanor failed to reflect it. He had long been considered the most sensitive of the companions and seeing his words take Ayres to the ground had nearly devastated him. Ayres began to stir and the peace that had encompassed him seemed to disappear. His body aged before their eyes and his breathing became strained and tiresome again. He slowly opened his eyes, trying to assess the situation. He was no longer in the damp monastery, that much was obvious. Taking in the multicolored walls and horrible décor, he recognized the room from his youth. He was definitely in Bellaham’s hut, but how had he gotten there? Bellaham smiled, he had always taken pride in his hated décor. Being able to enjoy all the colors life had to offer still made him euphoric. Glad to see his friend complaining as usual, he reached down and helped him to sit up. “When will you ever learn to enjoy the colors nature provides us?” chuckled the barbarian. Bellaham reached behind the door and pulled out the battered and cracked piece of wood. Looking at it, a six-foot long spiraling branch of worn-down diamond willow, he had to comment. At the last comment, Duran could not contain himself and burst out in laughter. Ayres said nothing, nor did he reach out for his staff. Instead, he merely closed his eyes and began to concentrate, a few unrecognizable words whispered under his breath. As he did, the staff pulled from the barbarians hand with such force that a battalion of ogre could not have stopped it. It floated slowly across the room and settled at Ayres’ side. Both Duran and Bellaham had seen Ayres and Cryss perform parlor tricks as teens and would normally not be impressed. However, the power with which he snapped the staff from Bellah’s grip had the two men staring at one another in disbelief. Perhaps Ayres was not as weak as he seemed. The three men made their way through the streets of Dantforth, heading for the local tavern and a cold drink. Not much had changed in the old forest town while they were gone. The streets remained quiet, the people friendly and keeping to themselves. If not for the uprising of a few new homes and Ol’ Percy’s barbershop being converted into a bakery they may never have known they had left. The old Bandit Tavern also remained unchanged in the three years, or the twenty prior to that, the atmosphere still dark and dirty. If you were to ask the barkeep, Bani Sulvan, he kept it that way on purpose, to ‘add ambiance’. If you asked the townsfolk, Bani was too lazy to clean and too cheap to replace the candles. Aside from a few new waitresses and yet another of Bani’s stuffed boar heads above the open fire, it was like walking into the past. Though Ayres’ odd stature and forbidden robes were a shock to the other patrons, the citizens of Dantforth kept it to themselves. Had it not been for a few sideways glances and overheard whispers, the companions would have felt right at home. To avoid any unnecessary attention and because they felt privacy would be preferred, they selected a lone table in a dark back corner of the tavern. The three sat in silence waiting for a waitress, no one wanting to start the conversation. They were all convinced this discussion was going to be interesting but awkward. Ayres looked on, examining the lady, as the other two placed their orders for Bani’s famous stout and cured bacon. Her name seemed familiar but nothing about the woman herself told him why. “I’ll just have three whole limes, some soda water and a ginger root if it’s available.” Ayres whispered forcing the waitress to lean in to be sure she heard him. Without so much as a blink at the odd order, Allainee turned on her heals and was off to the bar to collect it for them. Duran and Bellaham stared blankly across the table at Ayres. “A small concoction to help with my cough,” he explained in an attempt to placate them. The subject change was obvious but Duran let it go. He had actually longed to tell his story and now raced into it with reckless abandon. “Where to start? Three years ago, when we parted, I immediately headed northwest for the Thurnex Gates. I couldn’t wait to get there, to see my homeland, to be surrounded by my own people. The trip across the barbarian plains was long and tedious but my only other option was to cross Pantelli Wood and spend up to a week in elven territory,” he paused to look at his friends. Both were nodding, understanding why the dwarf would wish to avoid Pantelli Wood. Since Lastani’s passing, Duran’s name had been a source of contention within the elven families. This brought smiles and laughter to the table just as Allainee returned with their order. “We’re all out of ginger root at the moment but I thought this may do as a substitute,” she said setting their orders down. Looking down as she walked away, Ayres saw that she had instead brought him a small bowl of sunspawn herb. He was both surprised and concerned at the sight. Sunspawn was not only extremely rare, but it was, in fact, the proper element for his potion. Ginger root was only used as a substitute recently for simplicity sake. Not only had this elderly lady recognized his rare concoction, she also knew the ancient ingredients. Stirring the lime juice and herbs into his soda water, he realized that Duran had continued his story. At this, both his friends began to snicker but Duran ignored them and continued. Bellaham let out a groan, rolling his eyes and shaking his head. Duran looked over at Ayres hopefully but could see the look of disbelief in his eyes as well. The dwarf stopped there, drinking his stout and savoring his cured bacon. God, he had missed the Bandit. The pause became unbearable and Bellaham jumped in, “And?” he pleaded. “You’ll see it my friend, I can feel it in my heart,” said the sentimental giant, tears welling in his eyes. Ayres took a break to finish his potion. Both Duran and Bellaham sat attentive soaking in every word. It was rare to get such a detailed description of the magi inner workings. 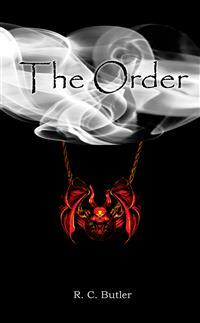 The order had been a very secretive group since the war. Duran and Bellaham sat enthralled, barely able to comprehend or believe the story being told. If not for the evidence of the man before them, they would have passed it off as myth. Ayres had forgotten how little of the magi inner workings were known so he tried to explain it in the simplest way. Wonder and awe overwhelmed his friends as Ayres began to tell the most painful part of his tale. A faint light interrupted the darkness of the tavern as the door opened and three men strolled in towards the bar. A bolt of fear and apprehension struck Ayres when he glanced up out of curiosity. The three men were clad in black robes with the hoods pulled forward to shield their faces. Hanging from each man’s neck was a glowing red amulet adorned with a winged demon. Ayres slipped into the shadows of their corner table. Duran and Bellaham glanced over, concerned. Knowing now what their friend had gone through at the hands of the black magi, they were immediately on their guard. Ayres shook his head and lowered his eyes, “It’s not the robes that concern me, my friend. However, I do believe we should be making our way out of here. Bellah, could I borrow your coat?” he asked gesturing down at his shimmering white robes. Bellaham slid his coat nonchalantly across the table and laid down a handful of gold pieces to cover their bill. The three rose from the table, Ayres discreetly slipping into the barbarians coat and hoping it was enough cover as to not draw attention. Crossing the tavern towards the door, Ayres could see one of the magi raise his head in curiosity. He knew immediately that his presence had been felt and cursed himself for not casting a counter perception spell. Trying to ignore the magi and remain as natural as possible, he continued forward, wedged neatly between his two friends. Just as they reached the door, Ayres felt a hand on his shoulder holding him back. The mage spun ready to defend himself, only to find their waitress, Allainee, standing there with a large bag of herbs. Turning with a nervous, “Thank you,” Ayres could see the three black magi sitting perfectly still, staring at their drinks as if suddenly turned to stone. The three walked silently through the brisk air back to Bellaham’s hut, the white mage routinely checking behind them to ensure they weren’t being followed. Entering the hut, he quickly pulled the lilac and mauve pinstriped drapes, muttering an unrecognizable chant as he peeked through the corner of the window. A blinding flash erupted momentarily from the top of his staff and Ayres seemed to relax. “So who were those men? Why’d we rush out?” asked the barbarian finally beginning to calm down. Duran and Bellaham stared at him blankly. “Votary of what?” asked Duran. She could feel his presence as she started to cash out for the evening. She knew he was close and nearly laughed to herself. Turning nonchalantly with the nightly deposit in her hand she muttered a quick chant and a burst of light erupted in the shadowed corner of the tavern where he lurked. “You would think that after tonight’s events you’d have learned to cover yourself with a counter perception spell,” she quipped as Ayres walked slowly from the recessed shadow. Allainee smiled and nodded but said nothing. “Why don’t you explain to me who you are, how you know the white arts and why you’re going out of your way to help me,” he asked waiting patiently for her to respond. Allainee closed the door and proceeded to lock up. While she did, Ayres made his way across the tavern to the one table with chairs turned down. He took a seat almost cringing to himself over what he saw. On the table were three whole limes and a glass of soda water. She had obviously expected him. Cursing his predictability, he pulled some sunspawn from beneath his robes and began to mix a drink. By the time he had finished, Allainee had settled into the seat across from him. “How about, who are you?” asked Ayres. She leaned back watching the mage as he took it in. “But… how?” she exclaimed and for the second time that evening Ayres told his story. Allainee’s jaw hung open unable to find the words. “You are far braver than you admit, young mage,” she finally said. Ayres actually started to laugh. “I believe you overstate it, my dear. One lone mage hardly signifies the rise of the whites. Even the council doesn’t see me as a vital threat. If they did I would never be roaming free. “Hogwash!” came a gruff and unexpected retort from beneath a table across the tavern. Fear and surprise rushed over the two magi as they turned instinctively and cast spells of protection into the darkness. Duran felt odd, unsure what had just happened. One moment he was crouched beneath a table listening to this outrageous tale, the next he was paralyzed by a blinding light. His mind filled with the beautiful images of the stone walls of Thurnex. What was happening? How could this be? Then just as suddenly, reality snapped back and he found himself staring into the eyes of two very angry magi. “Ummmmm, hi,” he smiled up at them. “I could be wrong, but I highly doubt that dwarf to sawdust is in the white mage arsenal,” came the stout man’s retort. “Dwarf?” asked Allainee, obviously confused by the man’s appearance. “Don’t go there,” warned Ayres but he was too late. Duran had heard the questioning tone and was already defending himself. Allainee put a hand on Ayres arm to stop the barrage of insults he was obviously about to spew. “And how did you come to find yourself hiding beneath the table?” she inquired. “Yeah? Just what else did you two leave on the bar, dwarf? From what I heard it got rather wild in here.” Ayres winked at his friend. The white mage burst into uncontrollable laughter, Lastani had been called many things in her youth but saint was a new one. “Surely there is another way,” jumped in Duran, unsure why anyone would want to travel to the red tower, a journey that is notoriously ridden with ogre. Pacing through his study, his velvet black robes floating across the floor beneath him, Soltarair pondered his current situation. As leader of the black council, he had seen many things pass, both good and bad for the magi, but the emergence of this white mage was his greatest concern to date. Many of the magi considered this a minor embarrassment for the council and possibly for him. Ayres had been his star pupil and personal apprentice after all. However, Soltarair had seen it as a much more dangerous situation. The council had gone to great lengths to rid the world of the whites, all that was now in jeopardy. He stopped pacing as his newest apprentice Helios, an eager boy with a gift for inflicting pain, sauntered into the room. He paused as his apprentice wrote down his orders verbatim. Helios was nothing if not efficient. “And what of Stranik? Has the council decided on a punishment?” questioned the novice. Soltarair respected his willingness but knew the council would object to the precedent it would set. The binding magic had been created to stop magi from having this ability, to keep the peace amongst the order. They could not blatantly circumvent it without causing serious concerns. Fury rose within Soltarair and he cast a magical attack. An unknown force crushed into Helios sending him across the room crashing into a shelf of books. As he pulled himself up from the shattered wood and pile of magic texts, he could see the anger resonating in the black leader. Helios left, intent on doing just that. “Relax, leave the mage to me. It turns out your scouts are not as naive as we thought. I have received word from the three men I sent into Dantforth. As expected, he returned to the forest town two nights ago. Soltarair’s jaw dropped as he listened. A look of unparalleled fear grew in Soltarair’s eyes. “Sounds like fun.” Those were his words when Duran finished running through their late night rendezvous and explained the plan to head south for Isath. This was possibly the most naive statement Bellaham had ever made. Oh, the excitement was there at first, like leaving on a historical crusade. Sneaking through the forests, racing against time, unsure what adventures lay before them. However, after five days of hiking through the trees, covered in dirt and mud, afraid to travel the beaten path, the novelty had worn off. Now he simply longed for a soft bed and a warm meal. Lying on the rock hard soil, hungry, tired and filthy, he decided ‘fun’ was overrated. “You awake?” he heard Duran whisper from his left. “I haven’t managed to sleep in a week, why start now?” he said in a voice rarely heard from the consistently cheery man. “I guess that barbarian blood just can’t handle all this excitement,” said Duran rolling onto his back and staring up through the trees. “Have you ever had the chance to meet an ogre?” asked Duran.